But don't worry, we're not in any danger, although it will make for quite a view for astronomers. 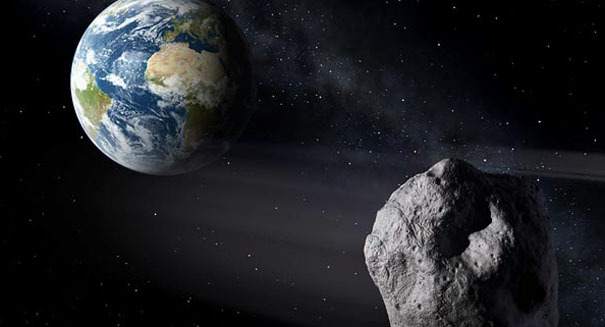 A huge space rock is barreling its way toward Earth, threatening to wipe out all life on the planet – well, not really, but it will certainly provide a fascinating scientific opportunity for astronomers, and it shows that NASA’s early warning system is working as it is supposed to. NASA is using a tool called Scout at the Jet Propulsion Laboratory in California to act as an “intruder alert” of sorts, scanning data from telescopes around the globe to see if “Near Earth Objects” are in the vicinity and headed toward our planet. It then makes a calculation of whether it could strike Earth, and then informs other telescopes to watch it closely. So far, NASA is finding about five asteroids per night, according to an NPR report. The tricky part is figuring out which ones are most dangerous to Earth. Scientists spotted the rock in question Oct. 25-26 using the NASA-funded Panoramic Survey Telescope & Rapid Response System (Pan-STARRS) in Hawaii.